A website has begun selling a single pound of human fat to anyone considering a second helping of bacon at breakfast. This stomach churning product may look like the real thing, but it cannot be made into soap –it is a revolting replica. First noticed by Gizmodo, the body fat model is sold by Anatomy Warehouse. The three-dimensional visual is meant to replicate the feeling of holding one pound of fatty human tissue. 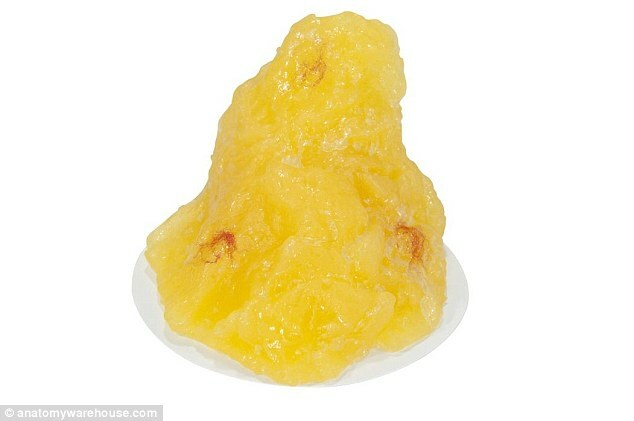 It is made of soft, pliable vinyl plastic and can be squeezed and manipulated to feel like real human fat. It also doubles as a repugnant paperweight or morning run motivator.